Ludger Pfanz was born in Schopfloch, Germany, in 1958. After studying theater and literary theory at the Free University of Berlin, he completed the degree course in filmmaking at the Academy of Fine Arts in Hamburg with honors. He has been an instructor and head of the video studio at the Academy of Design at the ZKM Karlsruhe since 1997, as well as the spokesman of the Media Arts faculty since 2002. He graduated from the EAVE continuing education program for European producers in 2002. 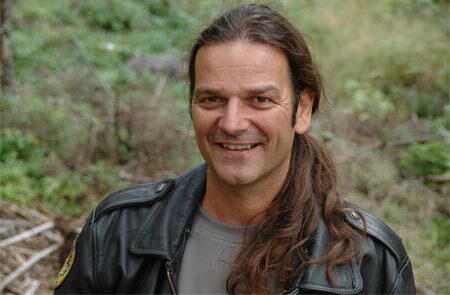 Ludger Pfanz works as a producer, director and author. IM HERBST DER BESTIE (In the Autumn of the Beast), U-Matic, documentary, FRG, 120 min. LANGSAMER ABSCHIED (Slow Farewell), essay film, Spain / FRG, 16 mm, 45 min. YENI DUVAR – Die neue Mauer (The New Wall), video, FRG, 20 min. DER CHIRURGISCHE EINGRIFF (The Surgical Operation), Iraq, 45 min. QUÉ TODOS SE LEVANTEN (When They All Rise Up), Guatemala, 60 min. AUF DER SUCHE NACH SICH SELBST (Looking for Oneself), a project in adventure-based teaching, Iceland, 45 min. *recommended for the Deutscher Drehbuchpreis (German Script Prize) 2003 in the category "non-filmed script"
DER SCHWARZARBEITER (The Underground Worker), satirical short film on the theme of joblessness, 35 mm, 19 min. Incentive funding from MFG Baden-Württemberg for project development for "Hometown Babylon", "Jobsharing" and "Wonderful Death"
FASZINATION WILDNIS (The Fascination of the Wilderness), 30 min. EINE ALLIANZ FÜR DIE ZUKUNFT (An Alliance for the Future), 20 min.